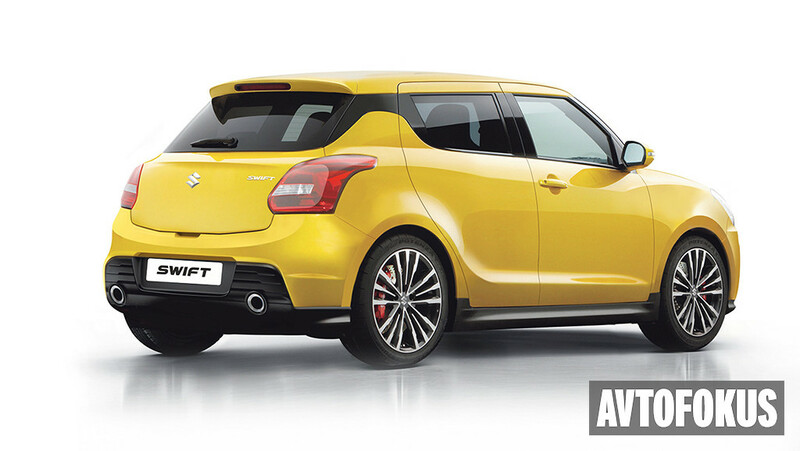 The upcoming 2017 Maruti Suzuki Swift is one hot topic of discussion for the motorheads. No wonder, the Swift is one of the widely popular and best selling sporty hatchback from the Japanese automaker. In India too the car is very popular. 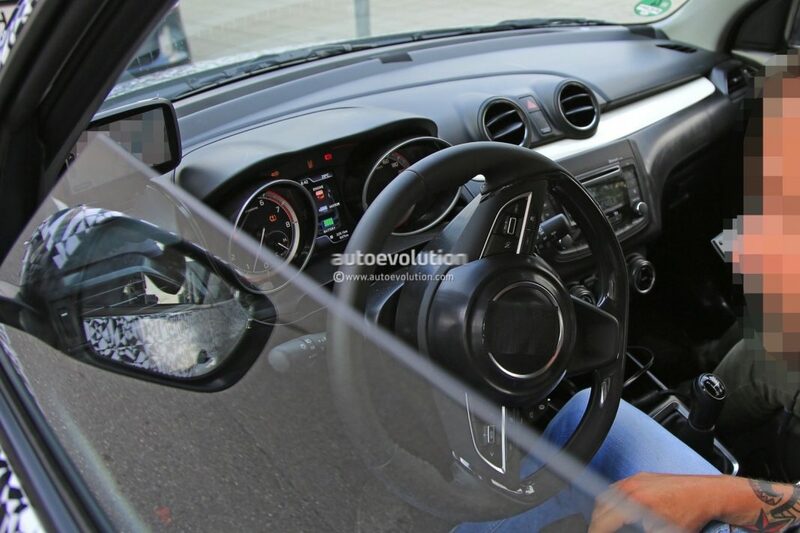 While we already had glimpse of the interior through a leaked image from a dealers meet in Europe, this time fresh image of the production spec 2017 Swift’s interior has emerged. 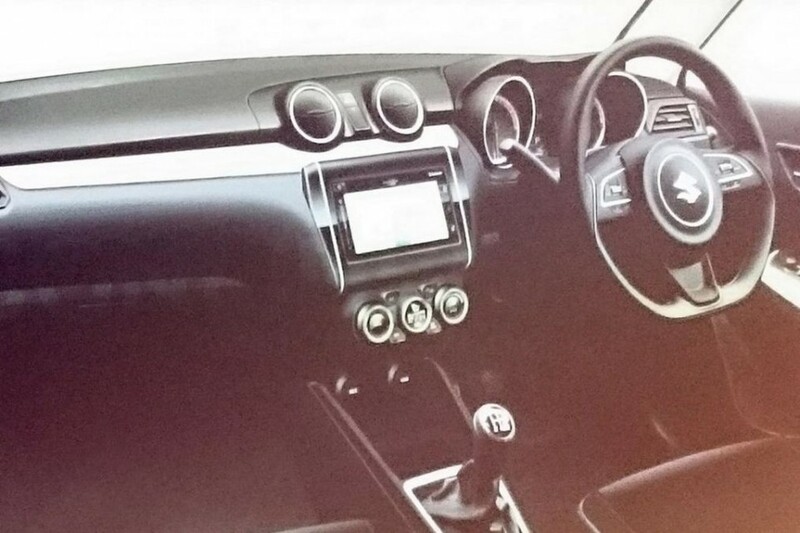 The new image shows, the interior is very much identical to the leaked image we have seen earlier. Honestly, the new Swift’s interior looks cool and sportier. The new steering wheel looks sportier and features sleek buttons. 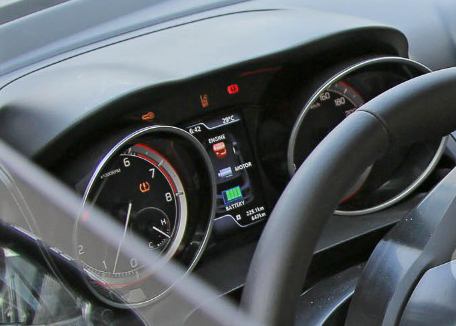 The instrument cluster also dons a fresh and peppy look with twin pods analog dials and a TFT display at the centre. The MID is inspired by the Maruti Suzuki Baleno. Both the multifunction steering wheel and the instrument cluster boast sleek chrome garnishing. The centre console also receives new guise. It features new circular HVAC vents and new HVAC controls as well. The prototype of the 2017 Swift spied testing sports a 2 DIN audio system, while expect the higher trims to come featuring Maruti Suzuki’s latest SmartPlay touchscreen infotainment system. The circular HVAC vents surely give the car’s interior a premium touch. The new 2017 Maruti Suzuki Swift will share the platform with the Baleno premium hatchback. The platform is pretty lightweight and it will enable the car to come 50 kilogram lighter compare to the outgoing model. This lightweight platform will help the 2017 Swift in being fuel efficient, and easier to handle. The car would get stronger material, which will enhance the safety of the new Swift. Power source for the upcoming car will be a 1.2 litre four cylinder K-Series petrol engine and a 1.5 litre diesel engine. A 5 speed manual gearbox will be doing the transmission duty, while there will be an automatic gearbox as well.